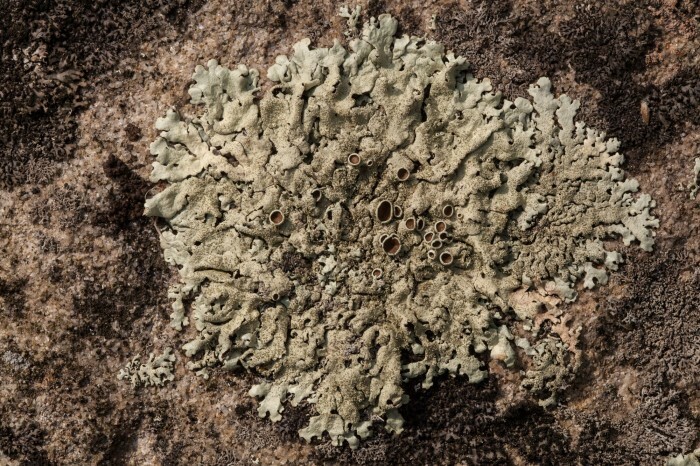 Welcome to ohiomosslichen.org, the website of the Ohio Moss and Lichen Association. 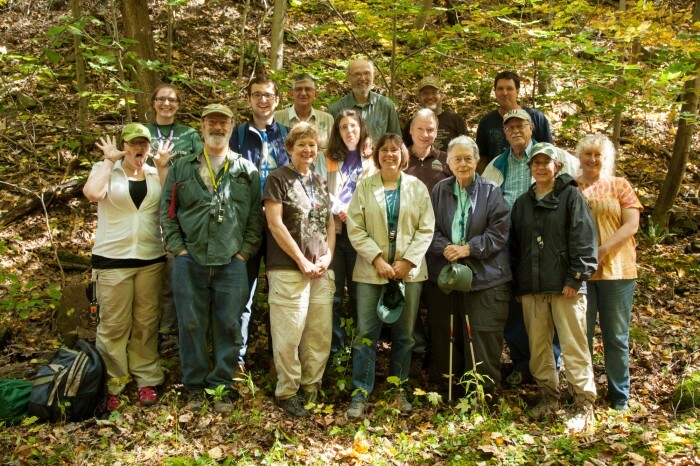 We are a friendly group of naturalists devoted to the study of bryophytes and lichens in Ohio. If you have questions or comments please email the webmaster. Thanks! 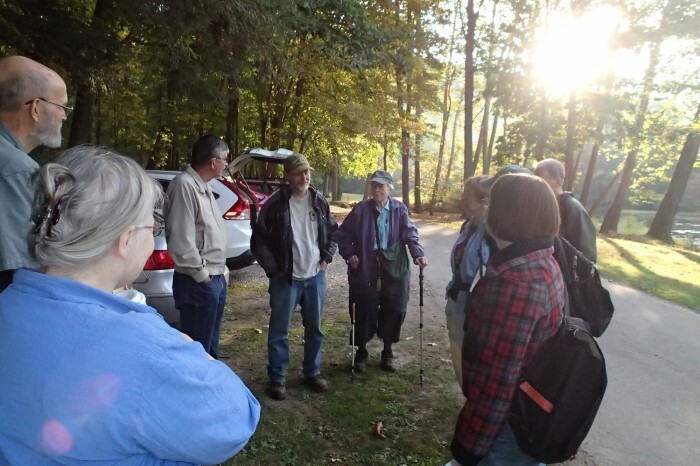 What else but a beautiful fall day for a foray to Columbiana County in eastern Ohio? 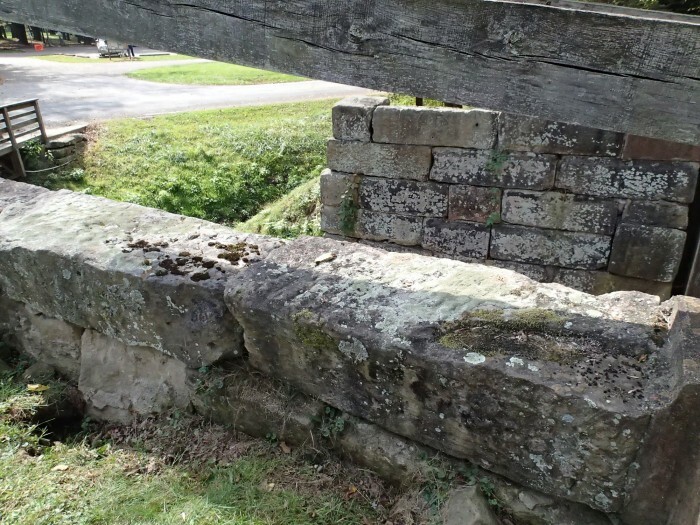 We spent Saturday September 28 at Sheepskin Hollow State Nature Preserve, then Sunday at Beaver Creek State Park, both areas in the unglaciated portion of the county. 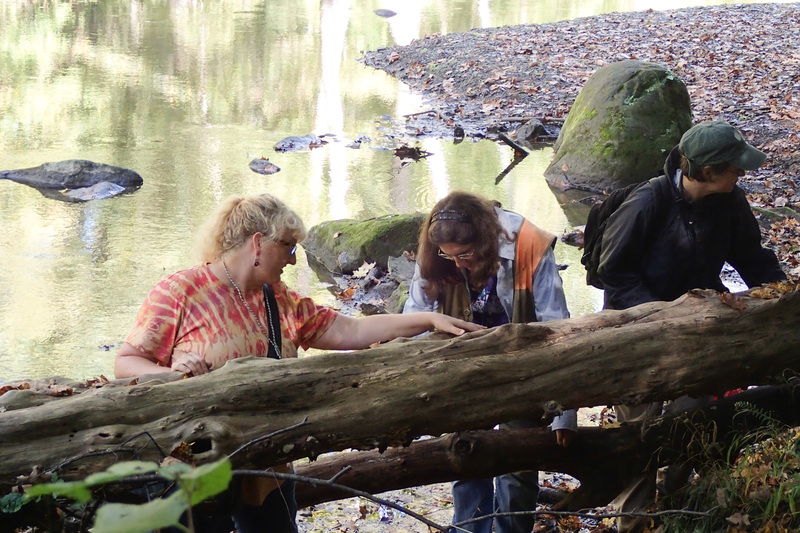 Cynthia, Carole and Linda on the hunt along Little Beaver Creek at Sheepskin Hollow. 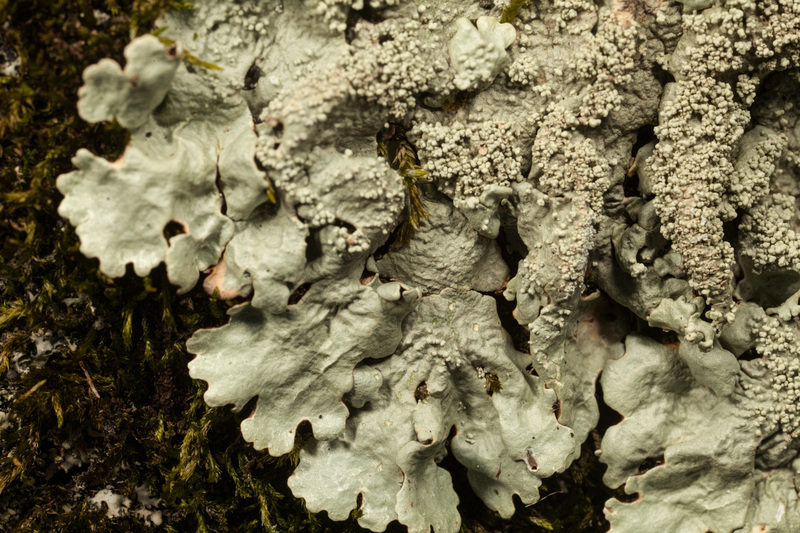 The 453-acre Sheepskin Hollow Preserve has deep ravines with sandstone and shale outcrops among extensive forests of eastern hemlock and mixed hardwoods, providing a great diversity of habitats for bryophytes and lichens. There were plenty of moist habitats for collecting liverworts. We identified 13 species of liverworts from Sheepskin Hollow and another 2 species from Beaver Creek State Park. 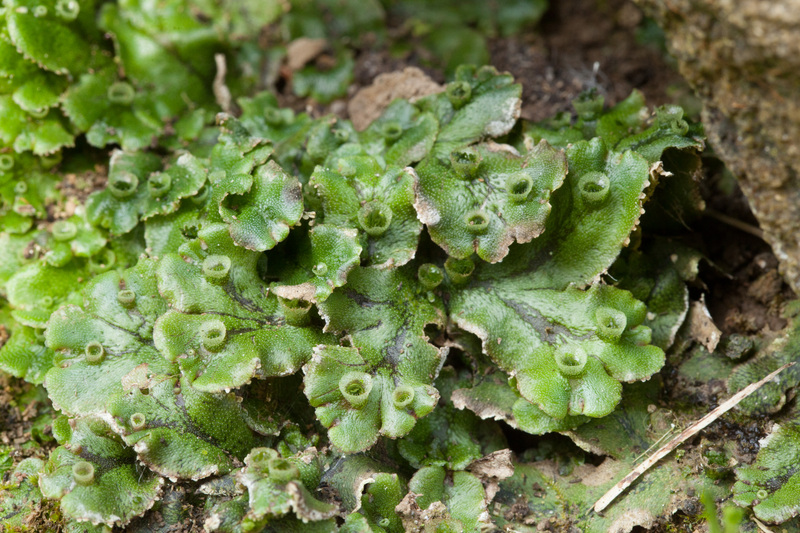 abundant gemmae in the cups on the upper surface. 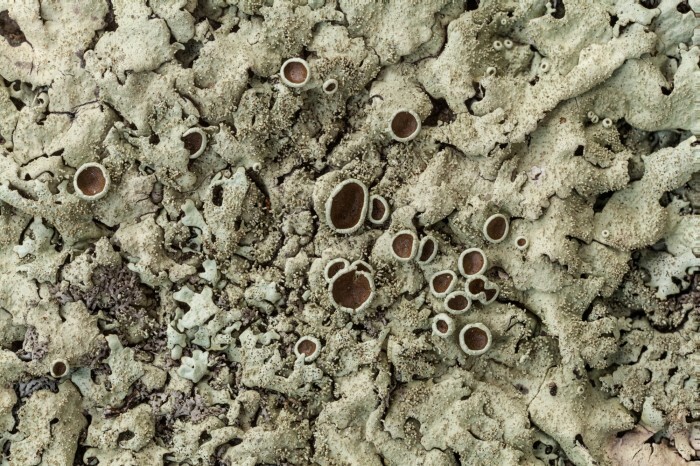 With areas of ample sunlight and a variety of substrates, lichen hunting was very productive: we found 37 lichen species, 28 of them new for Columbiana County. Parmotrema hypotropum, also known as the Powdered Ruffle Lichen. 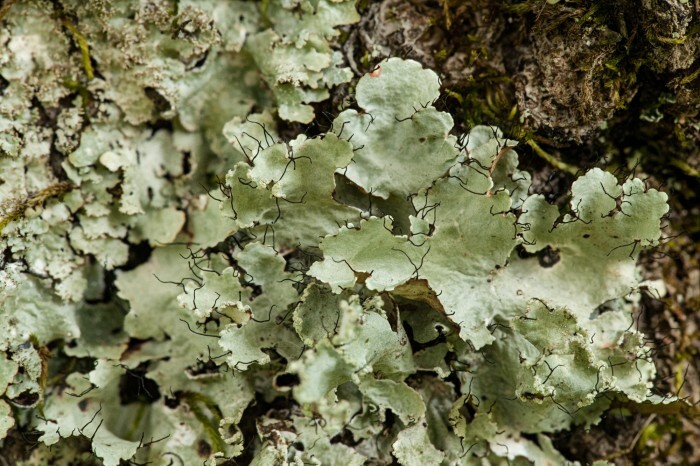 It occurs almost exclusively on tree bark. 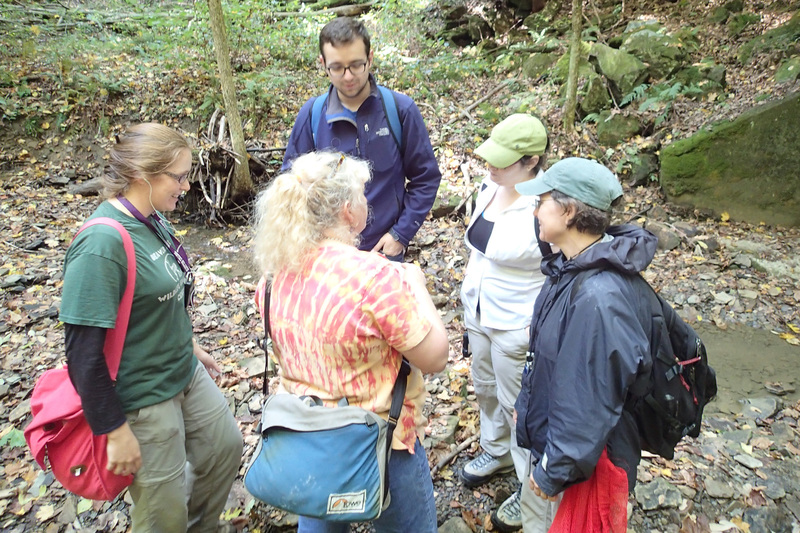 Cynthia explaining the finer points to Jessie, Steven, Sara and Linda. One interesting find after another. 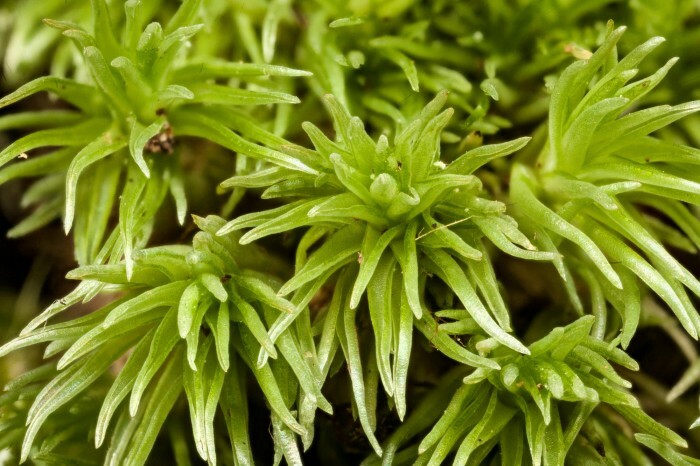 Leucobryum glaucum (pictured below) also goes under the common name of “pincushion moss” because it often forms round, whitish-green tufts several inches in diameter on the forest floor. Our timing was perfect: many of the ripening capsules still have the calyptra (whitish veil on the top and back of the capsule) attached. In most species (including L. glaucum) it soon falls off as the capsule begins to ripen. 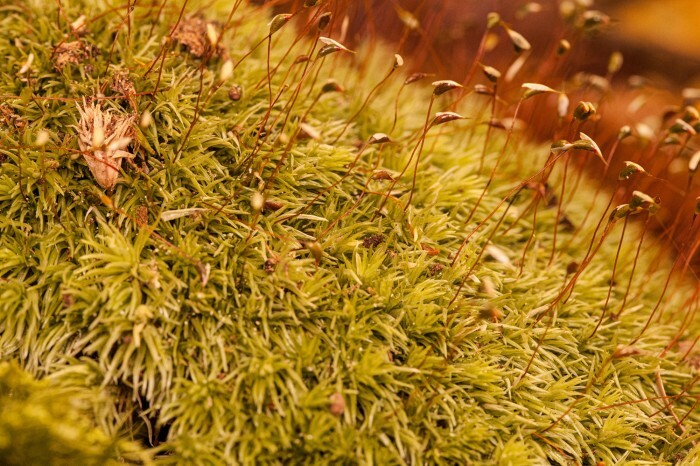 Squirrel’s-eye view of Leucobryum glaucum capsules with calyptra. Ant’s-eye view of Leucobryum glaucum. this one in the scenic hills of Sheepskin Hollow. After a day in the field on Saturday, we stop for dinner and head to the scope room for the excitement of identifying our specimens. The crowd thins out a bit as the evening rolls on, but the action continues well into the night. Our sincere thanks to the staff of the Comfort Inn of East Liverpool for helping us set up the trip and providing us a great place to stay! 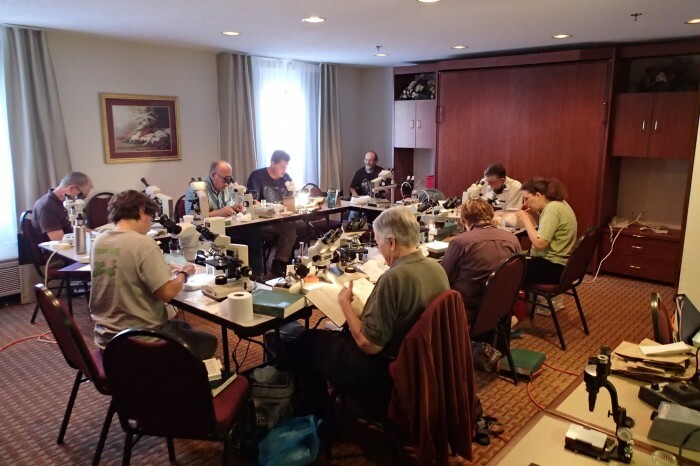 Our scope room at the Comfort Inn of East Liverpool. The next day it’s up early and off to Beaver Creek State Park, about 5 miles from Sheepskin Hollow. 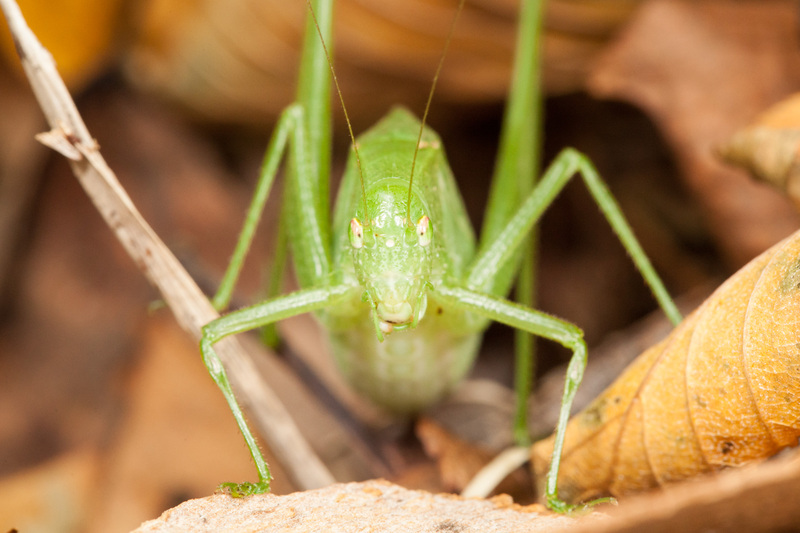 With a total of 2722 acres, the park has sandstone cliffs as well as bottomlands along Little Beaver Creek. The forested hills are quite a spectacle, especially for those of us who are flatlanders from the glacial lake plains of northwest Ohio. in all directions for another day of collecting! 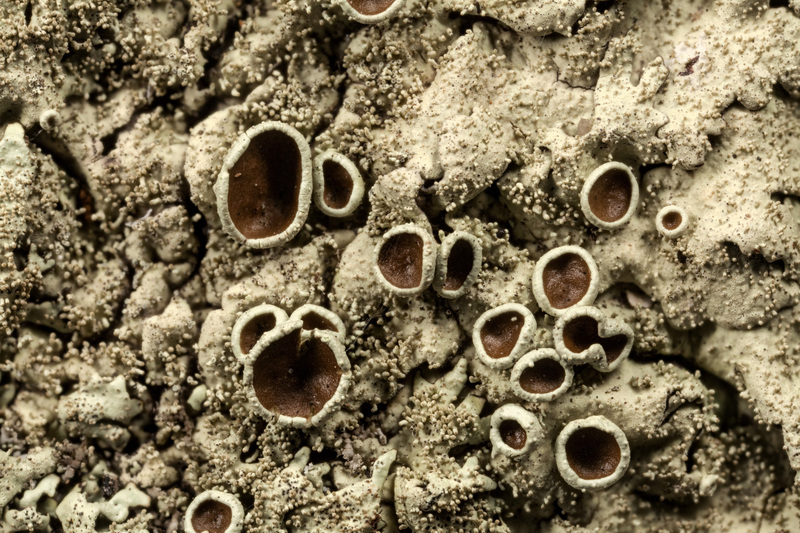 A closer look at X. plittii showing the pie-like apothecia among the hordes of tiny isidia. .The park also contains remnants of the historic Sandy and Beaver Canal, which operated until 1853.
graciously provides some pleasant moss and lichen habitat. 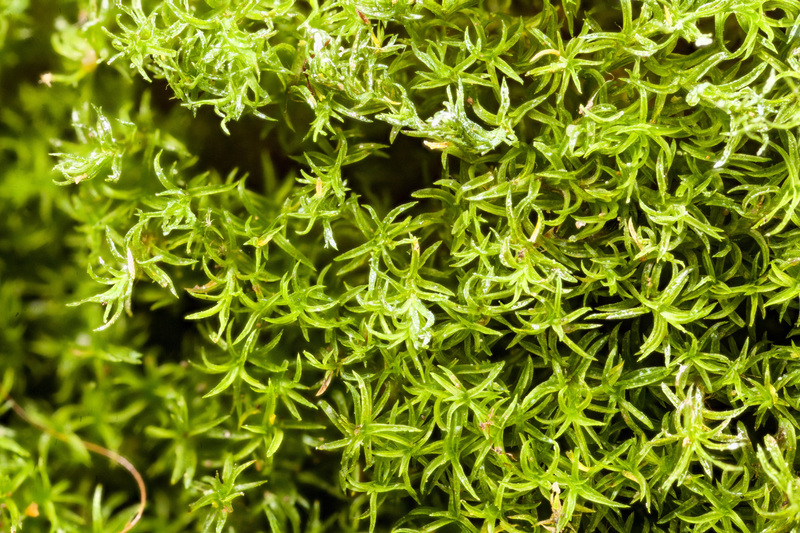 Gymnostomum aeruginosum, a moss that occurs mainly on wet calcareous rocks. and is a new record for Columbiana County. 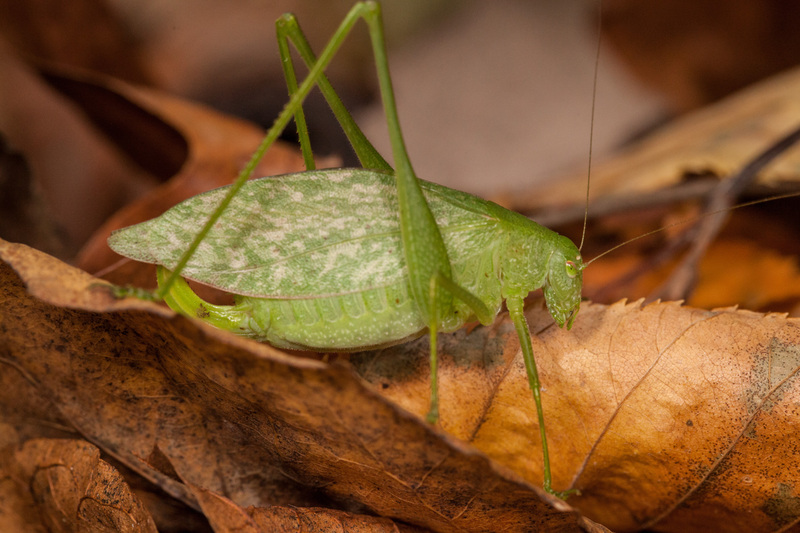 A broad-winged bush katydid (Scudderia pistillata) out and about on a fine fall day. 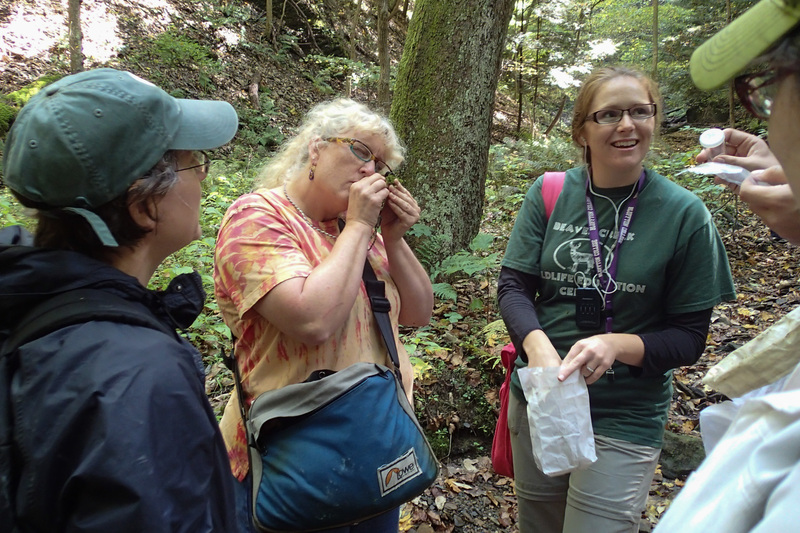 Hope to see you at the next foray!